WeLoveBigBrother.com spoke with alleged houseguest Keesha’s friends, who all confirm she has been out of reach for more than a week. The 29-year-old acting hopeful, first identified as a potential houseguest on fan site RealityBBQ Thursday, is no stranger to pursuing reality television shows. Shane last spoke with Keesha early last week, but said his recent phone calls have not been returned. He adds this behavior is out of the ordinary. Keesha’s friend Julie tells WeLoveBigBrother.com her attempts to reach the potential contestant have also been unsuccessful. Keesha’s friends agree she would be a good match for the show. “Keesha is outgoing and not afraid to stand up for what she believes in,” Julie said. 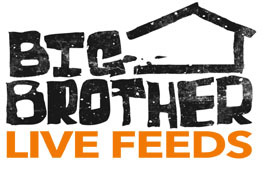 The official Big Brother 10 cast list is expected to be released Tuesday, July 8 on the CBS Early Show. Until then, fans and friends will wait and see if Keesha will have her chance at a potential $500,000. Listen to the full phone interview with Keesha’s friend Shane below!